A performer from early childhood, Lillian Roth had a remarkable career and a troubled life. She made her Broadway debut as a seven-year-old in 1918 and had a busy career in the movies during the 1930s. 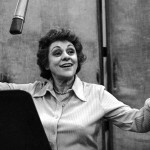 Alcoholism and strained personal relationships – she married eight times – damaged her career, but after a lengthy performing hiatus, she had a comeback starting in the 1950s and would return to Broadway in Harold Rome’s I Can Get It for You Wholesale (1962) and Kander and Ebb’s 70, Girls, 70 (1971). Her life story furnished the plot of the award-winning film I’ll Cry Tomorrow (1955). Though her Broadway career was put on hold after 1931, her movie career was just getting off the ground about then, thanks to a contract with Paramount Pictures. In 1930 alone she appeared in seven pictures, including the Marx Brothers comedy classic Animal Crackers, in which she played Arabella Rittenhouse. Other films in which she appeared include The Love Parade (1929) and Paramount on Parade (1930), both featuring the debonair Maurice Chevalier, and Ladies They Talk About (1933), a pioneering girls-behind-bars flick starring a tough, gum-chewing Barbara Stanwyck. During the Depression years, Roth amassed a fortune. But despite her talent, fresh good looks, and support from the entertainment industry, Roth began a steady descent in the mid-1930s, largely the result of her increasing alcoholism. Missing from the spotlight throughout the 1940s, she returned in the early 1950s, having publicly confessed her drinking problem. Her bestselling autobiography,I’ll Cry Tomorrow, was made into a movie in 1955 with Susan Hayward, and soon her story was known across the country. 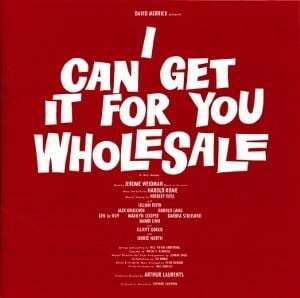 She began performing in nightclubs, and by 1962 she had returned to Broadway to play Mrs. Bogen in the original cast of Harold Rome’s musical I Can Get It for You Wholesale (1962), the vehicle that launched Barbra Streisand’s career. In 1964 Roth later appeared in a touring production of another musical associated with Streisand, Funny Girl. 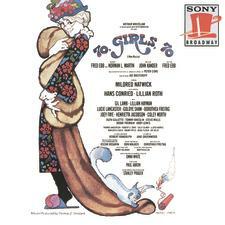 For several years, Roth was again away from the stage, but she returned to Broadway for one last show, playing Gert in the original cast of Kander and Ebb’s 70, Girls, 70 (1971), a musical about a group of oldsters who steal so they can make enough money to purchase their retirement hotel. Columbia issued an original cast recording. Her later film credits include Communion and Boardwalk. In 1980 Roth died of a stroke in New York City.